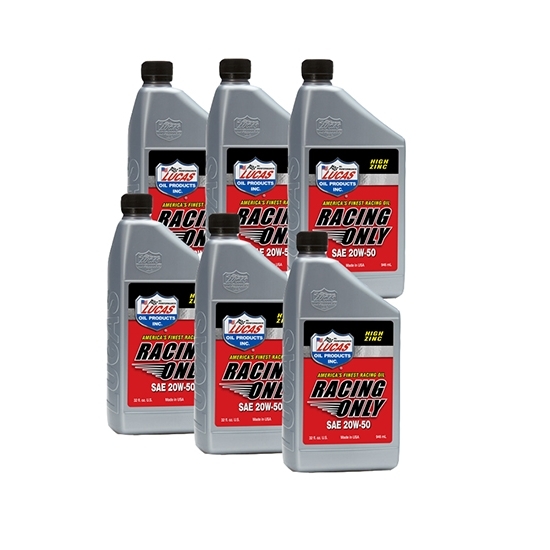 Lucas SAE Engine Oil is designed for high performance racing. This SAE 20W50 Motor Oil is blended with an additive package that includes lubricity and anti-seize agents that control drag like a zero weight oil and protects metal like a heavy multi-viscosity oil. Perfect for high RPM and high horsepower engines. Penn Grade 1 SAE 20W50 Synthetic Blend Performance Engine Oil, 12 Qt. Penn Grade 1 SAE 20W50 Synthetic Blend Performance Engine Oil, 1 Qt.